The new McLaren Speedtail, which will be revealed on 26 October, is such a bespoke car, it’s even getting its own special bonnet badge option. Each of the 106 hyper-GT cars can be fitted with a set of three 18-carat white gold badges: two brand badges at the front and a model name at the rear. They’ll be made in Birmingham’s famous Jewellery Quarter, by Vaughtons – a firm established in 1898 that also creates Olympic gold medals and trophies for the FA Cup. 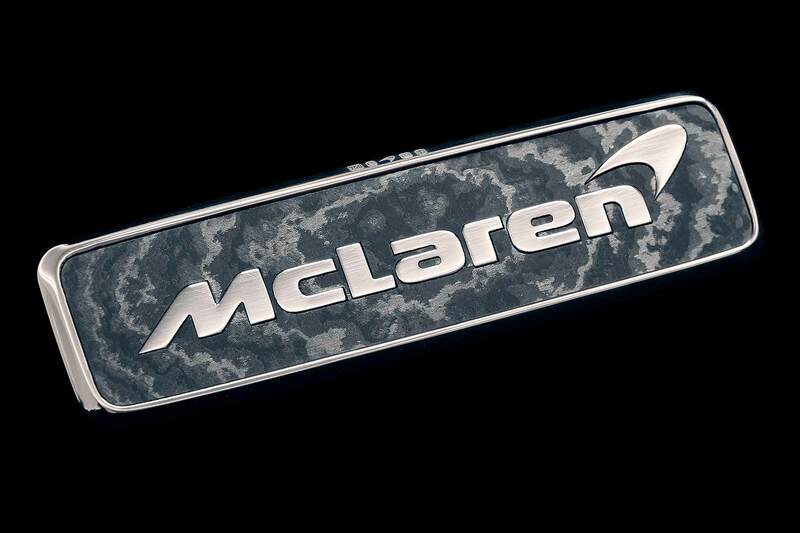 The badges carry laser etching showing when and where they were made, as well as the McLaren ‘Speedmark’ logo. 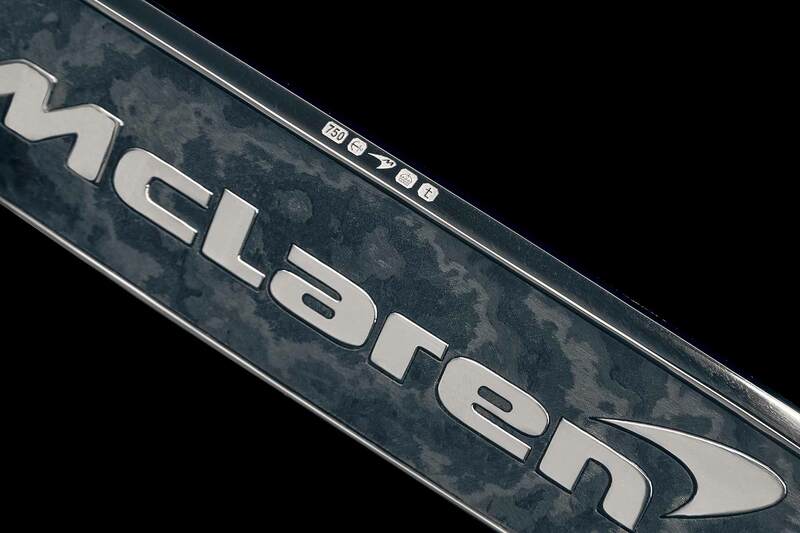 The carbon fibre inserts use ‘Thin Ply Technology’ (TPT) that’s exclusive to McLaren. McLaren says the front badge weighs 100 grams. If that’s too heavy, a lacquered transfer can be fitted instead. This “weighs almost nothing”. 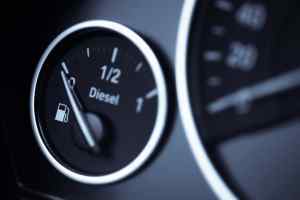 But going for gold is more authentic, reckons McLaren. The Speedtail is the spiritual successor to the 1993 F1, which used a gold foil heat shield in its engine bay. Emphasising that this is a new, ultra-posh and premium McLaren, the firm’s design director Rob Melville said that “as beautiful pieces of exquisitely hand-crafted jewellery, the white-gold badges perfectly set off a car that in every way represents a new gold standard [very good – Ed.] for McLaren luxury. For those who don’t want to fork out for the white gold badge set, the standard badge is made from aluminium with a gloss black inlay. 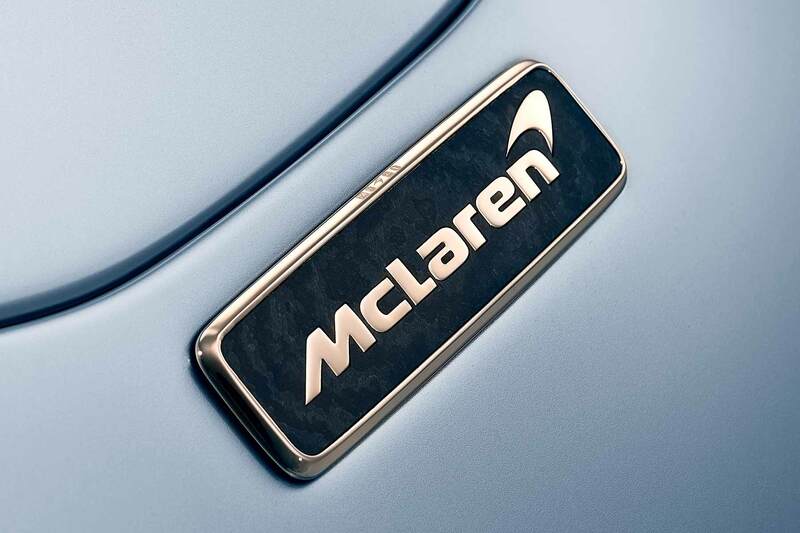 And if white gold is still not quite rich enough, McLaren is offering a fourth option for Speedtail badges – to have them made from solid platinum.